Jenn and Zach on board the Belle. 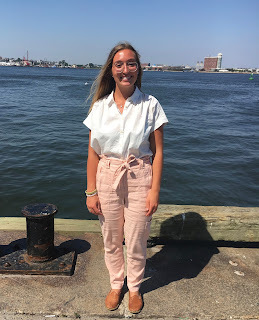 Hello, Melissa and Sami here, reporting back from the Save the Harbor/Save the Bay Youth Program Orientation Fishing Trip around the Boston harbor. As interns, we helped lead orientation and took part in learning more about summer programing and Boston's beautiful natural resources. To start the day, we met Captain Charlie, First Mate Matt, and the rest of the Save the Harbor crew at the dock and hopped on the fishing boat, Belle. To kick off our voyage, David Coffin, Save the Harbor/Save Bay's Maritime Historian, reminded us how great of an opportunity this trip around the harbor and the islands was. He encouraged us not to do on the harbor what we could do on our couch, and made us excited to skip rocks, find beach glass, and hopefully, catch some fish! It wasn't long before we were all singing Save the Harbor's favorite sea shanty, "Haul Away Joe," hooting and hollering our own verses as we sailed throughout the harbor. Captain Charlie took us to his favorite fishing spot off the site of Camp Harbor View. After a tutorial from Bruce on how to rig a flounder fishing rod, we all dropped our lines with hopes of hitting the motherlode! To catch flounder, we lowered our bait (sea worms) to the ocean floor and drifted as we waited for the bottom-feeding flounder to bite. It wasn't long before multiple people hooked on and were reeling in some hefty flounders. Some people even pulled up skates and crabs. We fished for about two hours in the harbor hot-spots and caught over two dozen fish. A successful day for sure. The day didn't stop there. Our next adventure was exploring Spectacle Island, an entirely man-made island that was once a dump. Today, it is part of a beautiful National Recreation Area made up of 34 islands with rolling green hills and walking paths, not to mention its wonderful beach and recreation center. We stopped for a quick lunch at the snack-bar and then took a group walk along the beach and through the hills. At the shore, we each found our own flat rocks and skipped them all together. It was a spectacular sight to see thirty-four stones skim along the glistening sea. Group stone-skipping on Spectacle Island. Back to the boat we went, and stopped at some of Captain Charlie's lobster traps, one right outside Save the Harbor's office. 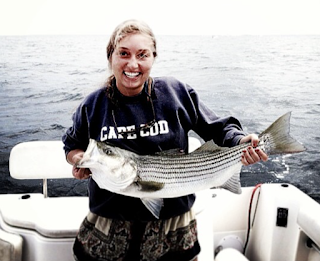 With the help of three of our staff members, Charlie caught crabs and two lobsters. For many of the staff members, this was the first time they had observed a lobsterman in action, and the excitement on their faces was priceless. The enthusiasm among the Save the Harbor crew was contagious as we sang more sea shanties pulling into the dock, and we all ended the day excited to share these experiences with the 30,000 kids who will be joining us the summer. What a day! Eric reeling in a lobster trap outside Fish Pier and Raymond holding a live crab. The fisherman is back in action this summer with plenty of fish prints while working on the fish pier from June 19-21, I had the chance to share the joys of fish printing with many visitors from all over the age spectrum! It was a great experience to work with the new and familiar staff from Save the Harbor/ Save The Bay. 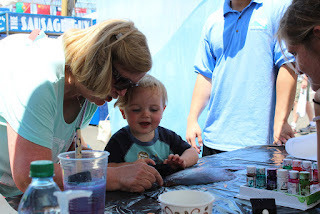 The Little man in the blue shirt was so excited to see how well the colors spread on the fish's scales. This little guy in the red shirt was so focused on making sure his fish came out nice and smiling on the inside, that he forgot to smile on the outside! With the harbor winds coming and going, it did make hanging the fish prints to dry a little difficult. Luckily, we have yet to have someone end up with a splatter of our ink on their clothes. If you're reading this and you didn't get a chance to fish print, all summer long we'll have events at various beaches and sites. So keep your eyes peeled for Save the Harbor/ Save the Bay events from Nahant to Nantasket! Hey everyone! As you can tell by my title this was my first time ever engaging in the tall ships in Boston. I live in Charlestown so the ships are always in the Navy Yard but I have never actually been a part of the experience. I have to say that it was pretty amazing to see and learn about all of these historic ships because they were amazing. The fact that everything needed to be done by hand in the 1800's and earlier is a hard concept to grasp. There was no technology in this time period and the men used sea shanties, like the ones we sang on the cruise called Haul Away Joe, to gather their energy to pull the sails. 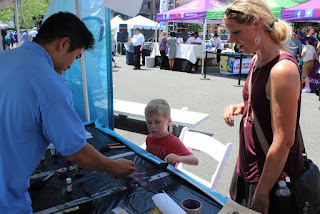 Besides being on the educational cruise around Boston Harbor I was able to interact with a lot of children, and even some adults, through fish printing. I forgot how much I loved fish printing since I haven't done it in a year and it was fun to get back at it again. One of my favorite parts about working the tall ships was seeing my friend, Carolyn, who I worked with last summer. She left for Chile again and she will be gone for a year so it was nice to see her right before she left. Im really excited for the rest of this summer and more fish printing! 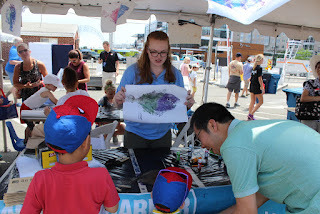 This week I had an awesome opportunity to fish print with some of the visitors of the Fish Pier! All ages came to try their hand at creating a masterpiece. Though we had visitors of all ages they all seemed to have the same question; IS THAT A REAL FISH?! The answer is yes! We are painting a real flounder and creating art with it! Though we had to compete with Stop & Shop and their free wheel of prizes we still had an amazing turnout! We made everything from spider-man themed prints to rainbow ones and ones hat were just brown! It was great to explore some creativity with so many different individuals and I can't wait to have the opportunity to do this again! Making sure all of the ink transfers from the fish to the paper! Purple and Green Fish Print! At Save the Harbor/Save the Bay we sing sea shanties like Haul Away Joe to remind us of an important lesson. When we all pull in the same direction we can get almost anything done. at the John D. O'Bryant School of Mathematics and Science for this great video. That’s how we transformed Boston Harbor from a national disgrace into a source of opportunity and civic pride. We believe that it is also how to strengthen our community and our city today. 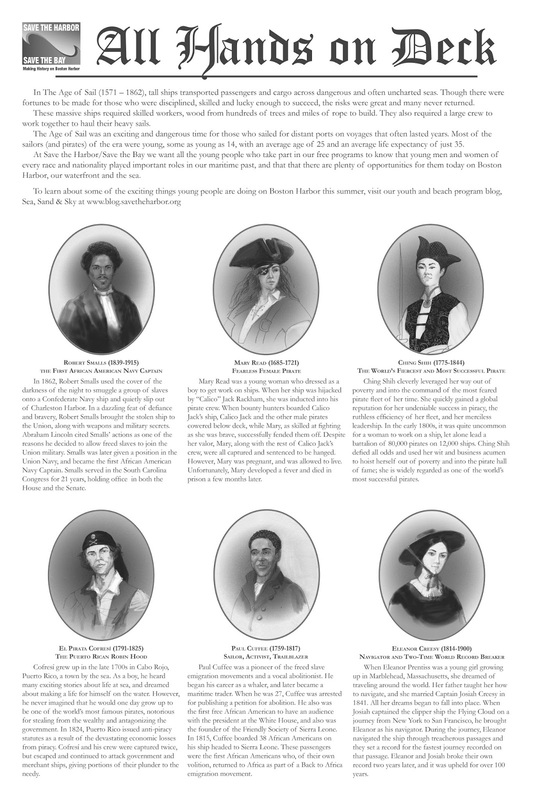 We also want youth and teens to know that young men and women just like them played important roles on Boston Harbor and the sea in the past, and that there are plenty of opportunities for them on Boston Harbor today as well. 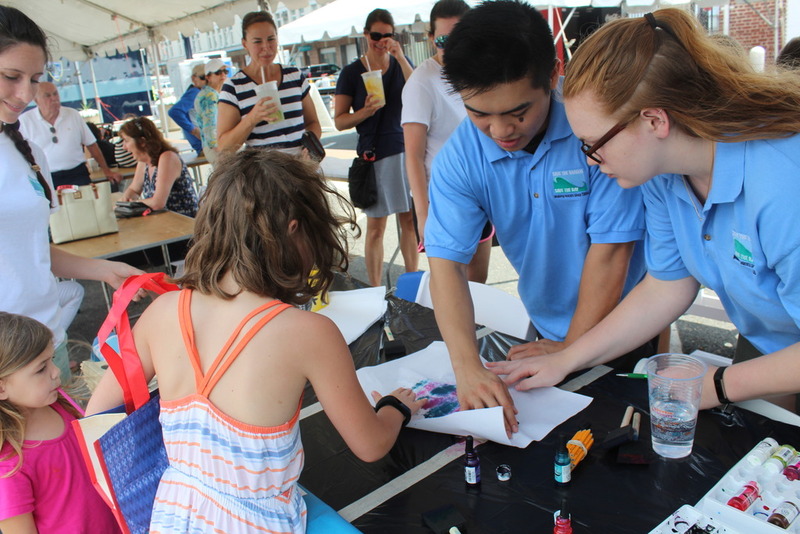 Please join us on the Fish Pier during the Festival of Tall Ships from June 17 - 21 for free family programs that celebrate Boston's maritime history and our spectacular harbor. 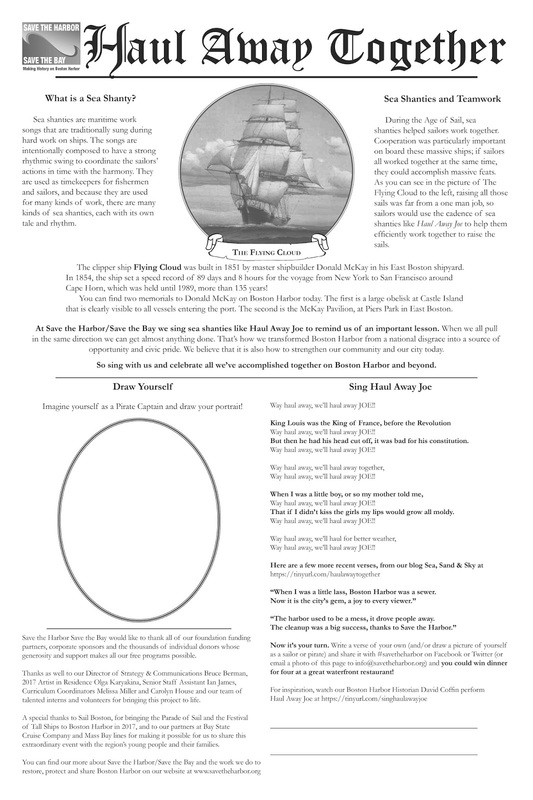 Draw a picture of yourself as a sailor or pirate, write a new verse of the historic sea chantey "Haul Away Joe" and send a photo of it to us at info@savetheharbor.org or post it to #savetheharbor on Facebook, Twitter or Instagram and you could win a terrific treasure. Save the Harbor Save the Bay would like to thank all of our foundation funding partners, corporate sponsors and the thousands of individual donors whose generosity and support makes all our free programs possible. 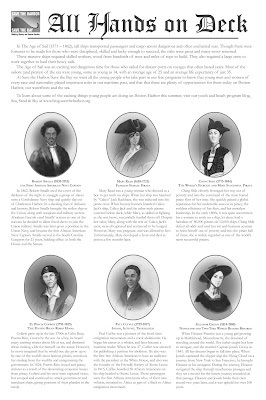 Thanks as well to our Director of Strategy & Communications Bruce Berman, 2017 Artist in Residence Olga Karyakina, Senior Staff Assistant Ian James, Curriculum Coordinators Melissa Miller and Carolyn House and our team of talented interns and volunteers for bringing this project to life. 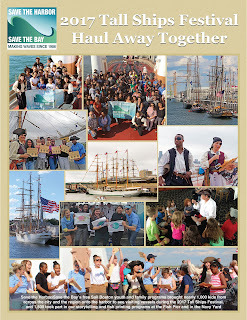 A special thanks to Sail Boston, for bringing the Parade of Sail and the Festival of Tall Ships to Boston Harbor in 2017, and to our partners at Bay State Cruise Company and Mass Bay lines for making it possible for us to share this extraordinary event with the region’s young people and their families. 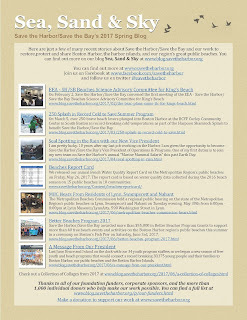 Follow this link to download the Spring 2017 edition of our newsletter and read a few of many recent stories about Save the Harbor/Save the Bay and our work to restore,protect and share Boston Harbor, the harbor islands, and our region’s great public beaches. You can find out more about Save the Harbor/Save the Bay and the work we do to restore, protect and share Boston Harbor on our website at www.savetheharbor.org. 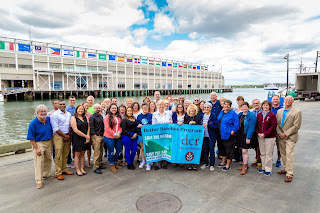 Last June, Bruce and I stood on the dock with our 34 youth program staffers as we began a new season of free youth and beach programs that would connect a record breaking 30,375 young people and their families to Boston Harbor, our public beaches and the Boston Harbor Islands. As we looked forward to the summer, we also looked back at the remarkable growth in these programs, which have served more than 160,000 low-income youth, teens and their families since we launched our Boston Harbor Explorers and All Access Boston Harbor programs 15 years ago. We have also seen remarkable growth in the leadership, communications, and school and job readiness skills of the 20 teens we employ each summer as Junior Program Assistants (JPAs), as they master our STEAM (Science, Technology, Engineering, Art and Math) curriculum and share it with their peers. 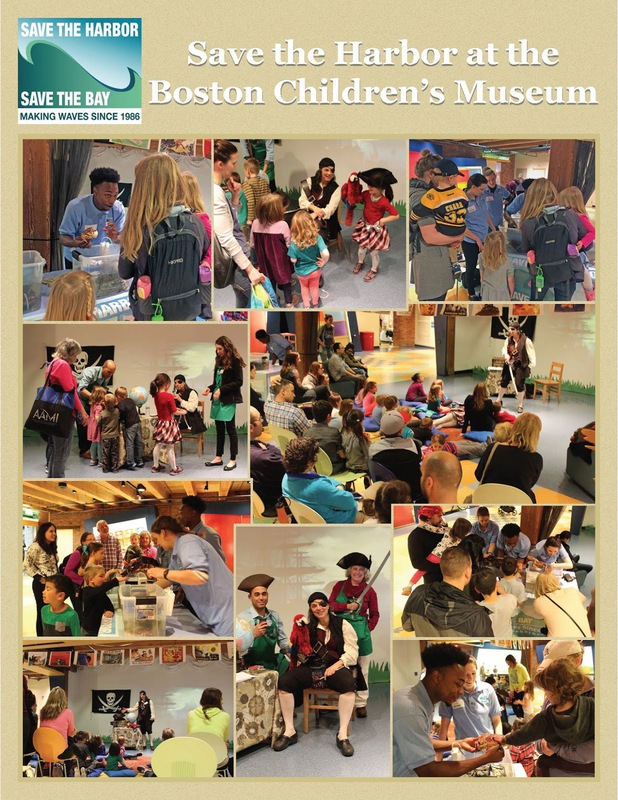 In 2016, Save the Harbor employed a Youth Environmental Education Program staff of 34, including teachers, marine scientists, storytellers, historians, artists, and 20 Boston high school students who helped us connect more than 30,000 underserved young people to the resources we have worked so hard to restore and protect. 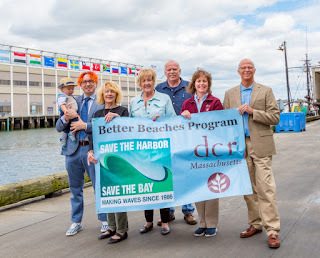 Unfortunately, cuts to the state budget eliminated support for Save the Harbor’s Better Beaches Program for this summer, which will force us to scale back our free programs on the region’s public beaches and in the Boston Harbor Islands. The Legislature is poised to increase funding for the program in next year's budget and we are working to make sure those funds are supported by the Administration. However, even if we are successful, those funds will not be available until late summer, if at all. At the same time, there is always competition—particularly fierce this year—for available funds from traditional sources to support summer jobs for low-income teens across the city. We do not intend to cut back on the number of teens we employ in our programs this summer, many of whom return to our program year after year, as they complete high school and move on to face new challenges. However, we need your help to close the funding gap. 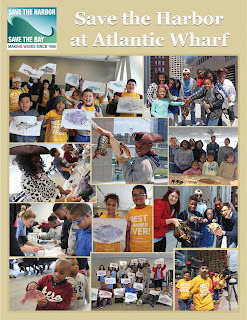 Save the Harbor/Save the Bay is proud to be the Boston Harbor Connection for the region’s young people and their families. Despite the cuts and the challenges, we are committed to “sharing the harbor” with more than 30,000 underserved and low income youth and teens from more than 100 youth development and community organizations from cities and towns across the region this year, and we need your help to do it. Your contribution today will help us restore summer jobs for some terrific young people, so they can develop the skills they need to become the next generation of environmental stewards of these spectacular urban natural resources. 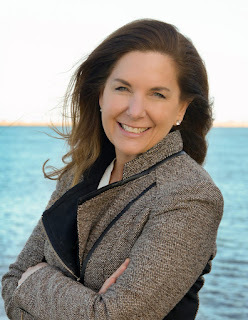 It will also support our work to restore, protect and share Boston Harbor, our waterfront, the Boston Harbor Islands National and State Park and the region’s public beaches from Nahant to Nantasket with the all region’s residents and visitors alike, especially underserved and low income young people and their families. We know you care about our mission, about our beaches, our kids, our environment, and our community. We trust you understand the urgency and importance of this moment, and will consider supporting Save the Harbor as we work to protect the gains we have made from our investment in Boston’s renewed Harbor. Each of the more than 100 Boston high school students we have employed over the past 15 years brings different experiences and skills with them to our program. We know from our conversations with them as they return to visit our office on the Fish Pier each summer that they also go in many different directions when they leave. Some are in college or work for area businesses or the region’s corporations, while others have gone on to careers in non-profits that serve their communities. Despite these differences, they each tell us that the time they spent on Boston Harbor with the experienced educators who run our programs helped inform their decisions about college and career choices. Your help today can ensure the next generation of youth continues to benefit from these programs and opportunities. 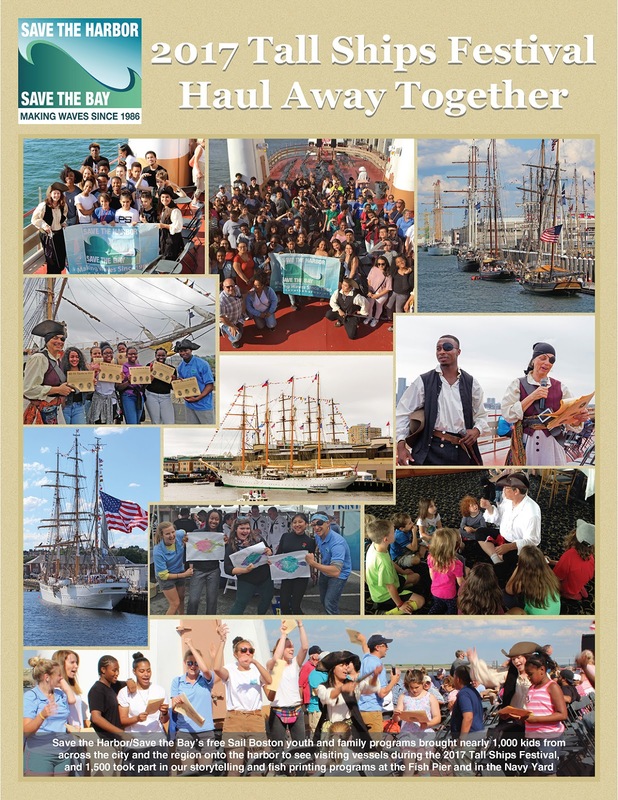 All of us at Save the Harbor/Save the Bay want to thank you in advance for your support, which will enable us to sustain and strengthen – and not scale back – the free youth programs and events that have come to mean so much to so many young people and their families. P.S. Its easy to make a donation online. Just click here to visit our contribution page. 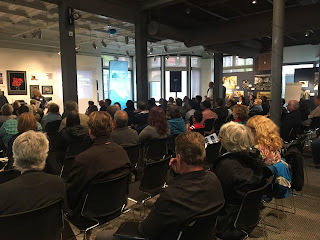 The Metropolitan Beaches Commission held a regional public hearing on the state of the Metropolitan Region's public beaches in Lynn, Swampscott and Nahant on Tuesday evening, May 30th from 6:00pm - 8:00pm at Lynn Museum/LynnArts, 590 Washington Street in Lynn. Updates from Save the Harbor/Save the Bay and EEA's Beach Science Advisory Committee on planned improvements to water quality at King's Beach. Updates from DCR on plans to remove algae this summer. Updates from the Friends of Lynn & Nahant Beach on summer program expansion. Updates from the Commission on the FY2018 DCR Budget for the Metropolitan Beaches. MBC Commissioners Carol Haney of Revere, Barbara Bishop of Winthrop, Jeffrey Chelgren of Nahant, Robert Tucker of Lynn, Representative Brendan Crighton , Manny Lopes of East Boston, Mounzer Aylouche of Swampscott, and Representative Donald Wong were present to hear from the public and share their thoughts as well. Representative Daniel Cahill and Representative Lori Ehrlich were also in attendance, along with a number of Lynn city councilman, and Lynn Mayor Judith Kennedy. Prior to the hearing, Save the Harbor/Save the Bay released their annual Water Quality Report Card on the region's public beaches in 2016. Director of Strategy and Communications Bruce Berman explained the Water Quality Report Card at the hearing, giving attendees a snapshot of the 2016 beach season. Some beaches scored perfectly, while some did not, and Berman explained that the past 6 years of results paints a better picture than just the data collected last year. Three beaches are still scoring a low B (85% or below) and two beaches have consistently tested low-- King's Beach in Lynn, and Tenean Beach in Dorchester. King's Beach was the focus on the presentation Kelly Coughlin gave from the Beaches Science Advisory Committee (BSAC). Her presentation focused on water quality at King’s Beach, and described the special monitoring Save the Harbor/Save the Bay is undertaking this spring. She discussed the challenges of urban interface with recreational water quality issues, having a beach right next to a major urban area. King’s Beach is a prime example of these challenges including storm water, street run-off, waste from birds and dogs, combined sewer overflows, and relief points located in the system to prevent flooding, which in turn release untreated sewage. However, at King’s Beach, storm water discharge from Stacey's Brook outfall is the primary source of issues which affects both the Lynn and Swampscott side of King's Beach. Kelly discussed the IDDE (illicit discharge detection and elimination) monitoring Lynn accomplished this summer, and Swampscott is in the process of issuing a new sewer rehab project, with focus on the area affecting Stacey’s Brook. They are beginning the first phase of the project, and the project is expected to take several years, with a completion date in 2021. Both sides of Stacey's Brook outfall are also tested, not just the outflow site, and there is a dramatic range of bacteria that are being seen in results. There are also significant increases in the concentration of bacteria. Within the outfalls, there is no difference between wet and dry weather conditions. Kelly Coughlin, working with Ben Wetherill of Coastal Sensors, along with the rest of the Beaches Science Advisory Committee is working on solutions to these issues. 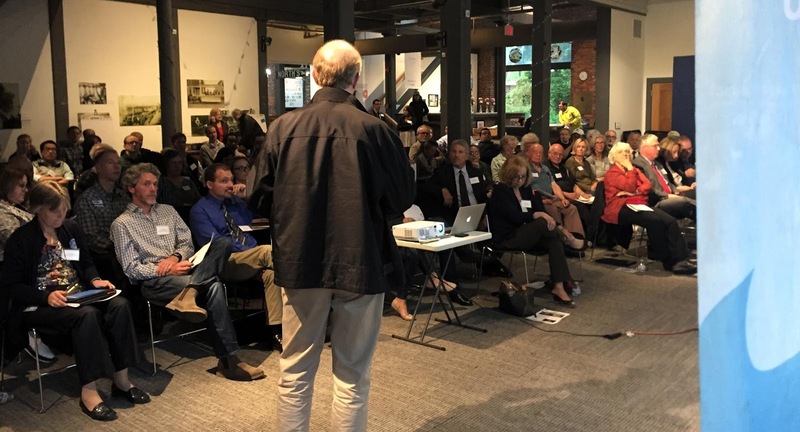 After Kelly Coughlin concluded her presentation, Susan Hamilton, Director of Parks Operations for DCR, and a Metropolitan Beaches Commissioner gave a short presentation on DCR's budget, and their hopes for the next year. She stated that DCR’s vision for beaches is to have safe accessible beaches we can be proud of with facilities available 365 days a year, and healthy lifestyle recreational opportunities available all season. After over 5 million dollars in cuts were made to the DCR budget in FY2017, many Lynn, Nahant, and Swampscott residents have been worried about adequate staffing, and algae removal on their beach. Susan Hamilton announced that there was $800,000 appropriated for staffing in FY17 which included long-term seasonal staff for summer and short-term seasonal are filtering in to support beach staffing and to supplement year-round staff. And, despite announcing that algae would no longer be removed from King's Beach after July 1, Governor Baker has now committed to continue to remove algae throughout this season, and this effort will continue into the fall. Susan Hamilton also announced that 3,500+ tons of algae has been removed this fiscal year, and there is $30,000 available until the end of the fiscal year to continue this removal. DCR has a contract with Capital Recycling who transports the algae to a composting facility in New Hampshire. DCR has also begun water quality testing last week and will continue this on all public beaches through Labor Day, with both inland and coastal testing. Signage will be present to warn about elevated bacteria levels in the water, and DCR is instituting a new flag warning system that is being modeled after the federal standard. This new flag system will be at coastal beaches by the end of June, Hamilton announced. There will be trash removal daily in Revere, Nahant, Winthrop, and East Boston. Daily beach raking will also take place in Revere and Nahant. 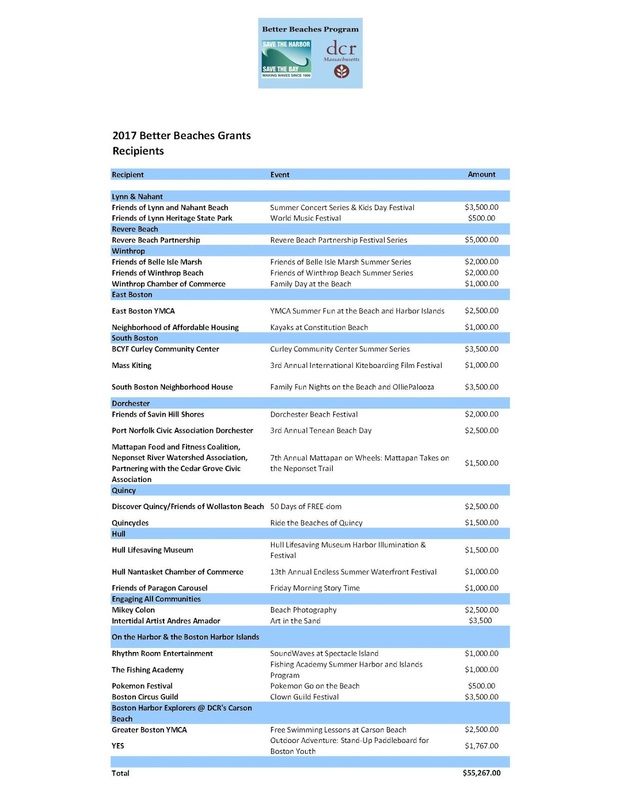 The $5 million of cuts made to DCR's budget included $100,000 that has, in the past, been used to supplement funds for Save the Harbor/Save the Bay's Better Beaches Program. While DCR will not be contributing to the grants awarded this year, DCR will continue to support key programs such as the Sand Castle Festival and the July 3rd Friends Concert with staffing and other needs. Senator McGee closed the hearing by stating the importance of advocating for these funds to Governor Baker and his administration. He stated that these investments need to continue, and it is up to us to make sure these critical investments don’t fall by the wayside. $5 million is a substantial cut to the DCR budget, and it is evident that the public wants the money to be invested in their beaches. 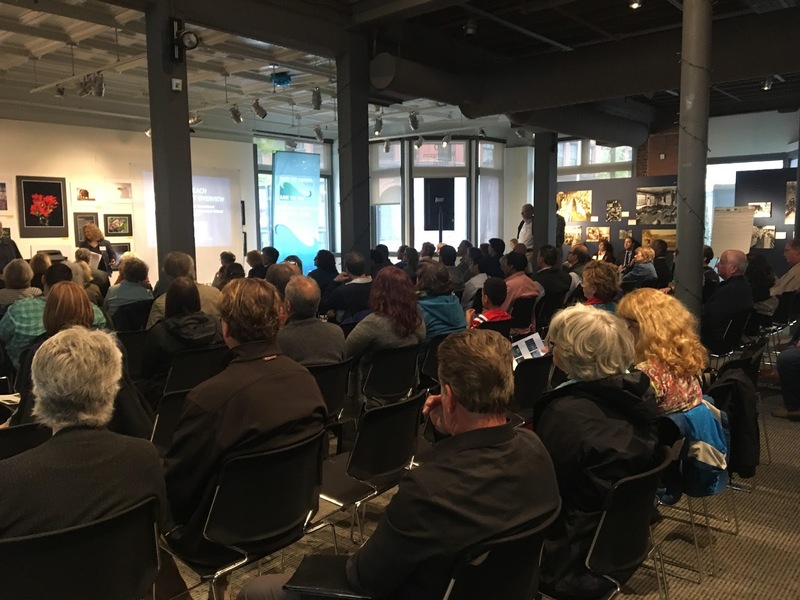 He thanked everyone for attending and emphasized the importance of staying involved and staying engaged, and emphasized that public input is a key part of this process. "You have the ability to be a part of this and to have your voices heard. Work with us as we move forward to make sure these are beaches we can continue to be proud of." Senator McGee also mentioned the next Metropolitan Beaches Commission hearing, Monday, June 12th at the State House. The Metropolitan Beaches Commission is comprised of elected officials and community, civil, nonprofit, and business leaders from Boston and the metropolitan region's waterfront neighborhoods and beachfront communities. The Metropolitan Beaches Commission was created in 2006 by the Massachusetts Legislature to take an in-depth look at the 15 Boston metropolitan region's public beaches in Nahant, Lynn, Revere, Winthrop, East Boston, South Boston, Dorchester, Quincy and Hull that are managed by the Department of Conservation and Recreation. My name is Ian James, a Senior Staff Assistant at Save the Harbor, and I create and curate content for our collages and other materials. Every year we have fantastic photographers who come to our events and join us on our programs. They provide us with so many wonderful pictures of what we do, and I take those images and turn them into exciting colorful collages that tell the story of our work and our impact. 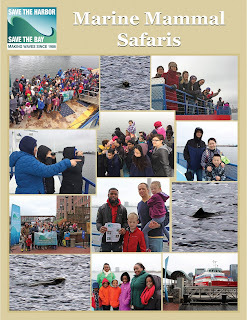 Through these collages you can see how our programs are fun and educational, and that they also connect a diverse group of people to the beaches and Boston Harbor in ways that they never would have without us. 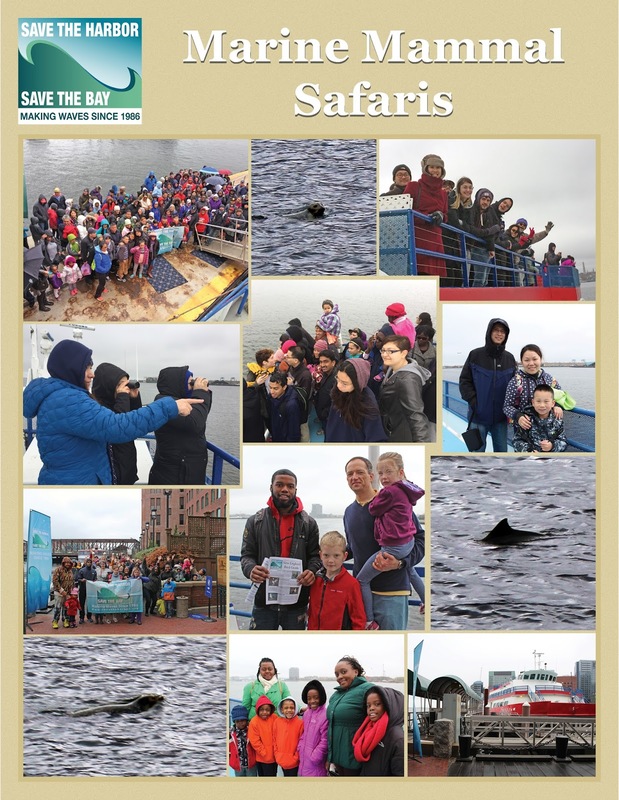 Marine Mammal Safaris on Boston Harbor to find harbor seals and porpoises. On April 21, during school vacation week, we gave kids and families in Boston an opportunity to meet our pirate storyteller, Mary Reade, and interact with marine life in our touch tanks at the Boston Children's Museum. 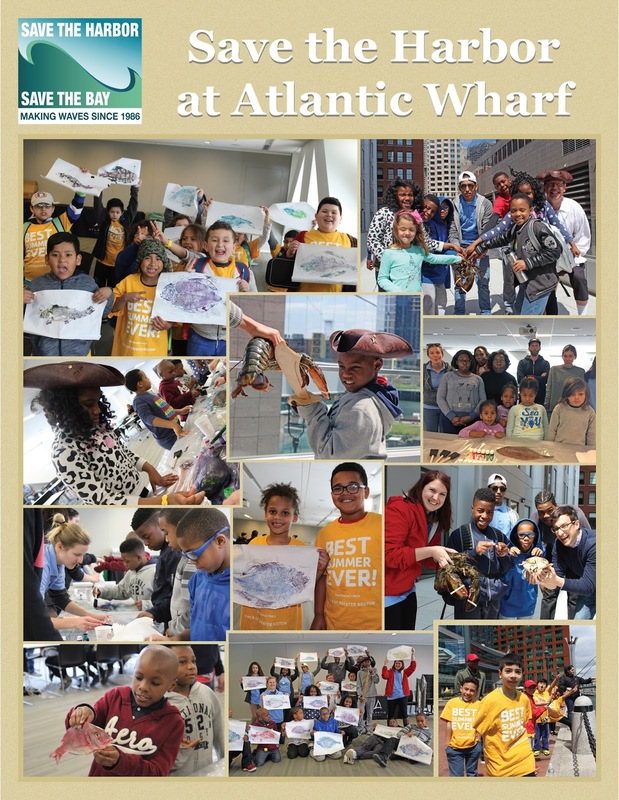 On April 18 and 19, during school vacation week, we gave kids and families in Boston an opportunity to visit Atlantic Wharf to make fish print art, see and interact with lobsters, and try to their hand at fishing. 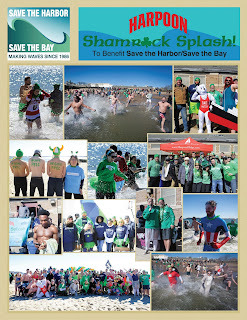 On March 5 more than 200 participants who raised more than $50,000 from over 800 donations jumped into Boston Harbor to raise money for free events and programs on Boston's public beaches in the Harpoon Shamrock Splash to Benefit Save the Harbor/Save the Bay. Save the Harbor/Save the Bay awarded more than $55,000 in Better Beaches Program Grants to support more than 40 free beach events and activities on the Boston Harbor region’s public beaches this summer in a ceremony on Boston’s Fish Pier on Saturday, June 3rd, 2017. This year’s grant recipients include 27 organizations in 9 waterfront neighborhood neighborhoods and beachfront communities from Nahant to Nantasket, including groups from Lynn, Nahant, Revere, Winthrop, East Boston, South Boston, Dorchester, Quincy and Hull. Here's the complete list. In 2016, Save the Harbor and the Department of Conservation and Recreation awarded $219,442 in small grants and additional organizational support to 43 groups in 9 beachfront communities and waterfront neighborhoods. These groups in turn leveraged our funds with $454,990 in cash and in-kind support from local government and businesses and more than 8,800 volunteer hours to support 107 free concerts, fitness boot-camps, beach festivals, sand raking demonstrations and sand sculpting competitions. Late last year the Baker/Polito Administration cut $98 million from the budget, including all funds to support free events and programs on the metropolitan beaches in Lynn, Nahant, Revere, Winthrop, East Boston, South Boston, Dorchester, Quincy and Hull this summer. Consequently, all of the grants for the Better Beaches Program in 2017 come from the proceeds of the Harpoon Shamrock Splash, where 250 brave souls jumped into the cold waters of M Street Beach in South Boston in March to raise money for free programs on their beach. From Left to Right: Chuck Lechien Jr. of Boston Circus Guild and his son Charlie, Patty Foley; President of Save the Harbor/Save the Bay, Ellie Johnson and John Hall of Rhythm Room Records, Susan Hamilton; Metropolitan Beaches Commissioner and Director of Park Operations at the Department of Conservation and Recreation, Joe Newman; Board Chair of Save the Harbor/Save the Bay. Chuck Lechien Jr. of the Boston Circus Guild and his son Charlie were on hand to receive a $3,500 Better Beaches Program grant from Save the Harbor/Save the Bay to bring circus performers and fire juggling clowns to the beach this summer. John Hall and Rhythm Room Records was also awarded $1000 for the SoundWaves Blues Concert on the beach at Spectacle Island. At the event on the Fish Pier Save the Harbor/Save the Bay thanked Metropolitan Beaches Commission Co-Chairs Senator Tom McGee and Representative RoseLee Vincent and the legislative and community members of the Commission for making this great program possible. 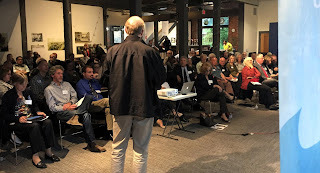 Save the Harbor also thanked their foundation funding partners, The Boston Foundation, the Richard Saltonstall Charitable Foundation, and the Harold Whitworth Pierce Charitable Trust for their support. 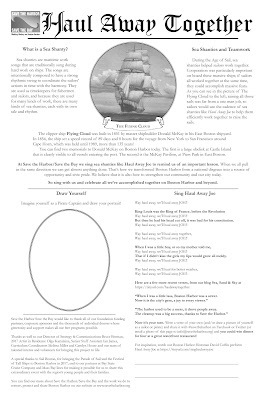 You can make a contribution to help Save the Harbor “Share the Harbor” this summer here.